My husband always shares his stories of when he worked in Australia, diving on the Great Barrier Reef, many years ago . 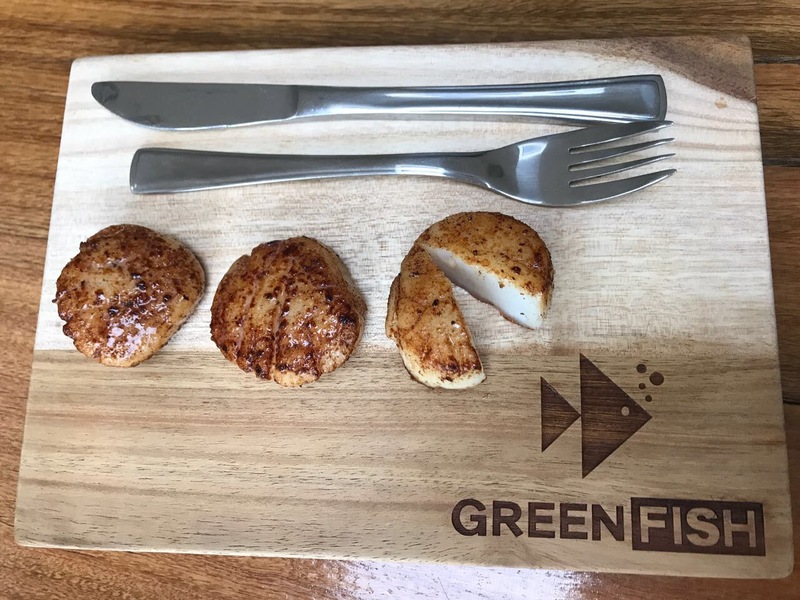 One that always fascinated me was his description of how scallops used to fly through the water like Pac Man and how, in order to catch them, they would knock them with the back of their hand to throw them off balance! He always described how delicious and fresh they were as they literally pan-fried them on the boat for dinner that same night. This is his simple recipe on how to cook them, which is the same method he used many years ago out in the open sea. 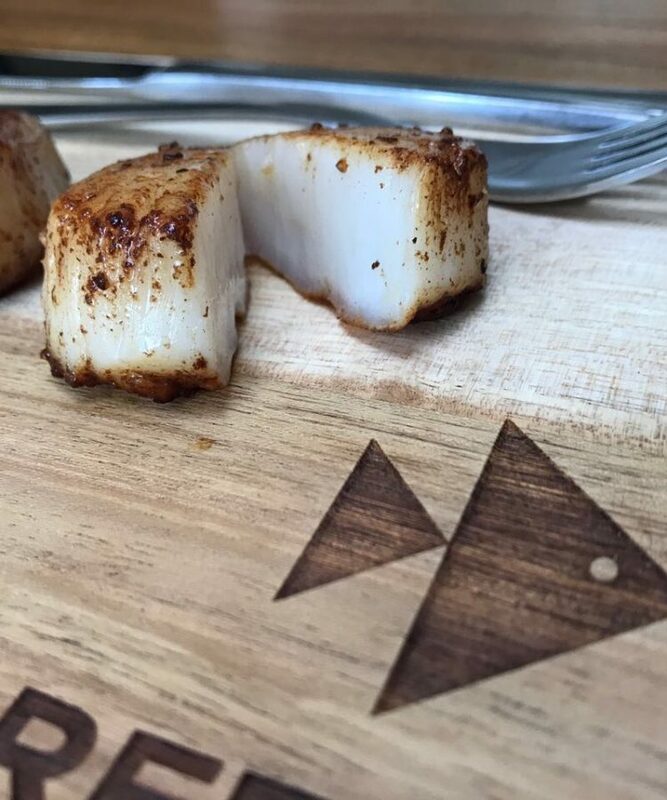 Dry the scallops off with a bit of paper towel. Once most of the moisture has been removed, season both sides with salt and pepper. In a pan melt the butter on a medium to high heat. 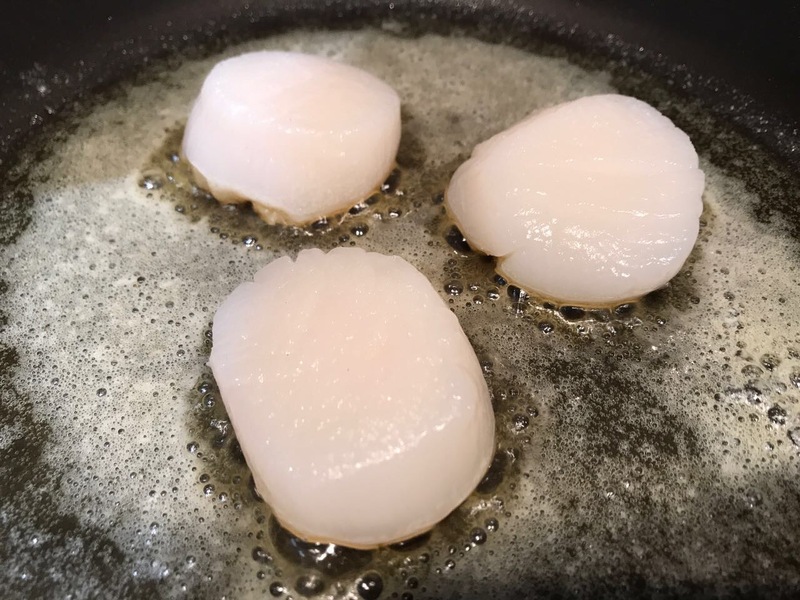 When the butter is bubbling, place the scallops in the hot pan and sear for 1 to 1 and a half minutes per side depending on how big the scallops are. Do not allow the butter to burn. 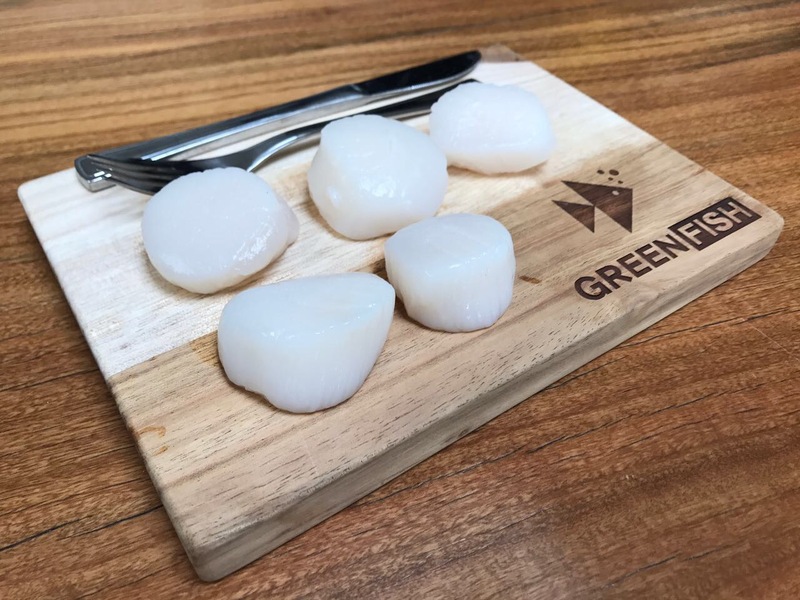 The scallops are done when they turn from translucent to white, and they should turn a lovely golden colour on the outside from the caramelization. Serve immediately with lemon and garlic mayonnaise and side dishes of your choice. Combine 1/2 cup mayonnaise, 1 teaspoon crushed garlic, 2 teaspoons of lemon juice and a pinch of black pepper in a small bowl. 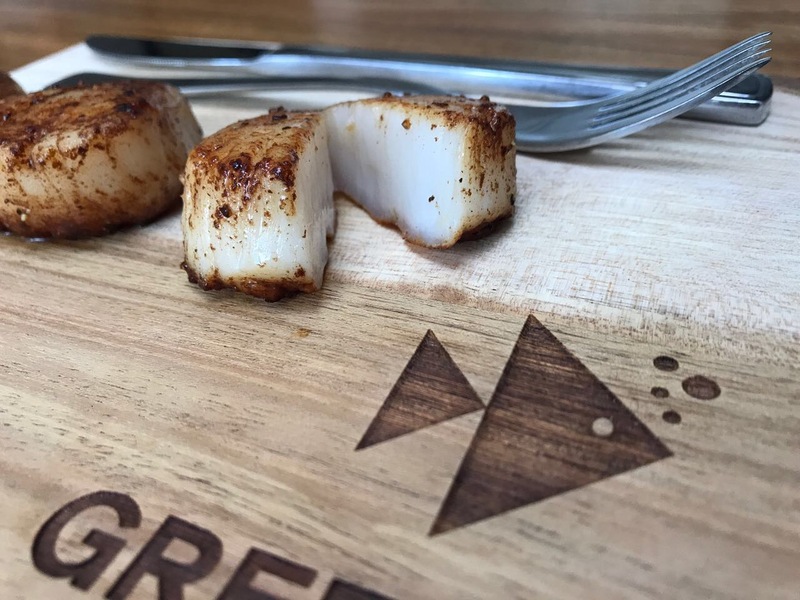 The lemon & garlic mayonnaise is optional but adds a nice zesty flavor to the scallops. Who am I? 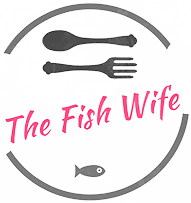 Simply put: I am the wife of a fisherman. My amphibious husband lives, breathes and exists for the ocean.